The cenotaph at the Old City Hall is not usually considered an architectural gem as it is a monument. However, it should be consider as such as similar to other heritage structures throughout the city, it required an architect, architectural drawings and building materials. For almost 90 years, it has graced the head of Bay Street in front of the Old City Hall. Each November 11th, it is the focal point of Toronto’s Remembrance Day ceremonies. In Toronto, prior to the First World War, Remembrance Day services were usually held at the monument at University Avenue and Queen Street, to honour those who died in the Boer War. After the First World War, it was decided that a new cenotaph should be constructed in front of the Old City Hall. The Ontario Association of Architects declared an open competition for designs. William M. Ferguson won the contract. A Scotsman by birth, he had immigrated to Canada and joined the architectural firm of John Lyle, who had designed the Royal Alexandra Theatre. Ferguson was also one of the architects of the city’s Toronto General Hospital on College Street. He later joined the prestigious firm of Darling and Pearson, the firm that designed the old Bank of Montreal Building at the corner of Yonge and Front Streets. It now houses the Hockey Hall of Fame. Ferguson died on April 18, 1956. For the Toronto cenotaph, Ferguson worked with Thomas Pomphrey. At first, they decided to create a smaller version of the great cenotaph near the intersection of Whitehall and Downing in London, England. Its creator had been Sir. Edwin Luyton, and it was constructed in 1919 from Portland stone. However, in Toronto the architects changed their plans and created a cenotaph about the same size as the one in London. Toronto’s was created with granite from the Canadian shield. The cornerstone was laid on 24 July 1924 by Earl Haig, Commander-in-Chief of the British Forces during the First World War. The first memorial service at the cenotaph was held on November 11, 1925, at which Governor General Byng laid the memorial wreath. The names of the battles listed on the sides of the monument were extended in the years ahead to include those of the Second World War and the Korean Conflict. The cenotaph at Toronto’s Old City Hall in May of 1926, the year after it was dedicated. The war memorial in London England (left) and the cenotaph at the Old City Hall in Toronto (right). The similarity is readily evident. The photo of the London memorial is from Wikimedia Commons. View of the Old City Hall in 1901, prior to the building of the cenotaph. The Old City Hall in 1925, the year the new cenotaph was dedicated. The plaque on the north side of the cenotaph to commemorate the dedication of the monument. The stone to commemorative the laying of the cornerstone by Earl Haig in 1924. The wreath that was laid by Earl Haig at the ceremony for the laying of the cornerstone of the cenotaph on 24 July 1924. General Dwight Eisenhower and Mayor Saunders at the cenotaph in 1946. View of the south facade of the cenotaph in March of 2013, the Old City Hall in the background. 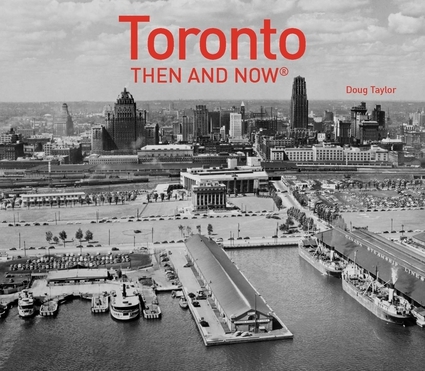 Note: historic photos are from the collection of the City of Toronto Archives.